Beautiful Quality Nickle-Plated Brass Cupwith a unigue 'Two-Tier' designed Bowl, great for engraving. Pure Class and very difficult to keep these in stock!! !Our Flagship Range!!! These are proper heavyweight Cups with a great Celtic Rim and a very thick Nickel-Plate Finish. These will last many years without any problems and with very minimal cleaning. As you can see as well, they engrave fantastically and really look the part!! You have many base options, ranging from the Nickel-Plated Banded Base shown, to Wooden Round and Square Platic or Wood. Call Chris Ledger on 01865736028 for more details and options. Plain and simple, this does the job of a special award, superbly engraved and all at a bargain price!!! Black Glass with a Silver Strut to hold it up. You can have the free engraving on a Black, Gold, Silver or Bronze front plate and a logo to, if you have one!!! We are THE World Leaders in Aunt Sally Trophies.....FACT!!!!! OK, there isn't many places selling them but we are the biggest and best......!! We are forever coming up with new options and the Aunt Sally Scene around Oxfordshire & slightly beyond, is booming!! I will be adding many of these products to the site individually but that may take a while, come over and see them in the flesh, you will not be disappointed. Call Chris Ledger of 01865736208 for more details. Quite unique and very, very heavy, these make great awards!! Solid Black Marble and we can even add Marble or Wood Bases to the bottom of the trophy to make it bigger or create more sizes. We engrave your logo & text into Black, Gold, Silver or Bronze Plates, that fit onto the face of the marble. 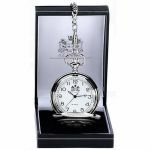 The prices shown include engraving and if you require a logo (existing logo's are engraved free), we can set it up for £10 as a 'one-off' fee. We could also engrave plates to fit down the sides, if required. Call Chris Ledger on 01865736028 for more details and information. Being very sturdy and very traditional, these make great pets!!!! The Blenhiem Range are of a very nice quality indeed, as they are manufactured from Brass and then Nickle-Plated. The cup itself could be engraved and looks fantastic and if we engrave a little deeper and get the gold of the Brass to shine through it!! Obviously in this photo there isn't a base but you can have a choice of round rosewood, Square Wooden or Capped Bases. Please call 01865736028 for more details. BMW Mini Time Capsule engraved in 2005!!! 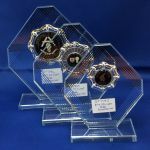 These are going fast and we only have 2 sizes left but get them fast as they are lovely cups and great for perpetual Trophies, with this quality, they WILL last!! They are manuafactured in Brass and then Nickle-Plated, which is the best set-up for a cup. They can also be engraved straight into the cup or on the base. In the photo, they are shown without bases but you can choose from Round Rosewood or Square Bases in a choice of finishes. Please call 01865736028 for more details. Quality Solid Aluminium Cranks on MArble Bases for the worthy winner!! 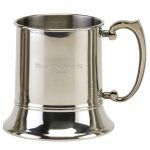 These are Traditional English Pewter Tankards, available in 1 or half-pint sizes with plain handles and plain finishes, so much more room to engrave and no lines on them!! Price shown includes engraving of text and a new logo would add £10 to the price (although this is a one-off price and if used again or using an existing logo, they would be free!). Please call 01865-736028 for more details and logo formats required. 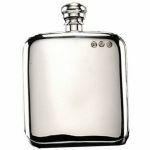 For a vast selection of Engraved & Plain Glass, please go to www.oxfordcrystal.com or click the logo in the 'Catalogues' section of this site. These are really quite nice!!!!! The Silver lined threadding around the edges, creates a nice webbed border effect and we have shown them here with various customised badges but we can supply most sports as well. Prices shown include free engraving. The Silver Stars on the Black side of the Glass plaque, makes a great impressions and can suit many occasions and presentations. We have shown them here with a badge to suit and free engraving, although for an additional £20 we can Sandblast them with a logo & text. A really nice 'Swooping Star Flame' shaped piece of glass, that is definitely standing out from the rest!!! We have shown it here with a badge of your choice and free engraving. 'Swooping Silver Stars' beneath the engraving on a glass rectangle creates a really nice award and the price shown includes a badge of your choice and free engraving. Just an idea we came up with, to have the Moto-X bike jumping out of the bowl of the cup, then make it in 10 different sizes, Simples!!!! Call us on 01865736028 for more idea's or come and see us, have a play with all the bits and design your own!!!? JC132 Range of Excellent Value Glass!! 4mm Clear Glass and VERY Good Value for it!!! Any 1" badges can be fitted and the price shown includes free engraving. A very unusual range of glass awards, especially at these prices as they were nearly 3 times this price 2 years ago!!!! We have shown them here using customised badges but we can supply with most sports and the prices shown include free engraving. The Aluminium bases are a fantastic addition to a classy Black Glass Trophy. It's nice to see 10mm glass dressed like this, although we can tailor these to most sports and if not put a laurel and a badge on them to suffice. The price shown includes all the options I just mentioned and free engraving!!! Sorted! A very unusual range of glass awards, especially at these prices as they were 3 times this price 2 years ago!!!! We have shown them here using customised badges but we can supply with most sports and the prices shown include free engraving. The Aluminium bases are a fantastic addition to a classy Black Glass Trophy. We only have this size left in this range but it's a lovely piece of glass, with a quality Aluminium Base and 9" tall. Most badges 1" can be used and free engraving with this piece.......bit of a bargain really!! We get quite a few of these in for engraving, along with many tricky to engrave items, such as Bells, Instruments and Golf Clubs, so I thought we should make a page out of it!!! A real quality set of trophies, created with imagination, sadly lacking in most trophy catalogues!!!! For a custom-made set of Motorsport Trophies, please call us on 01865736028 and discuss your requirement and realistic budget!!! Just a sample picture of a set of Moto-X Trophies we have just supplied for the BSMA (British Schoolboy Motorcross Association). We can supply form many different catalogu or have 100's of unique products and idea's for different sets. Please call 01865736028 for more details and sample pictures or of course drop in and we will show you and create a set, in front of you!!! These come in a lovely presentation box and are much cheaper than their Silver-Plated Rivals but don't tarnish and are much more hard wearing.....! Believe it or not, we do dozens of these a year, especially as they building industry is back on it's feet!!! These are to commemorate the 'Topping Out' Ceremony and are usually presented to the clients, from the builders but can be used for any building project. Call Chris Ledger on 01865736028 for more details. Being 12mm Thick with a tiered Blue Glass Base, this is a classy piece of kit!!! 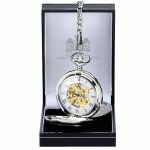 We can dress this with a Laurel, Badge and engraving on a Silver Plate and that would cost £29.99 but the other price quoted on here is for a logo and text to be Sandblasted into the glass itself. Presentation Plaque 9" x 7"
These are FANTASTIC value but be quick, these will go early!! Call Chris on 01865736028 for more details. Quite simply the best football trophy we do.......in my opinion anyway, even I've won one and that's the one I remember!!! Price includes fre engraving on the base. One of our Flagship Ranges, these are Unique in the Industry, especially at these prices!!! The Radley Bowls Range are all manufactured in Brass and then generously Nickel-Plated and can be mounted on many different bases. There are 6 sizes in total and these look fantastic with the engraving on the bowl or the base. Great Give-Away, especially at this price, discounts as well for 50 or more! Big, Bold and Traditional, you won't miss these!!!!!! Even polished inside the bowl! The Roysse Range are of a very nice quality indeed, as they are manufactured from Brass and then Nickle-Plated. 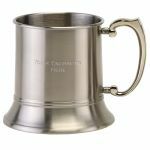 The cup itself could be engraved and looks fantastic and if we engrave a little deeper and get the gold of the Brass to shine through it!! Obviously in this photo there isn't a base but you can have a choice of round rosewood, Square Wooden or Capped Bases. Please call 01865736028 for more details. 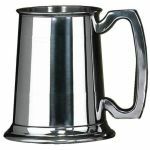 These are Traditional English Pewter Tankards, available in 1 or half-pint sizes with plain handles and a lined finish!! Price shown includes engraving of text and a new logo would add £10 to the price (although this is a one-off price and if used again or using an existing logo, they would be free!). Please call 01865-736028 for more details and logo formats required. Coolest Military Tankard in the World!!!? A customer challenged us to engrave this and we did him proud, it's a very unusual item. Last chance to grab these as these are made in the old way.......with very heavy solid resin, not much of that about nowadays!! We can make them in 2 sizes with the addition of a small lightwood base underneath. We only have a limited amount of these, so don't miss out!!! These are avaialble in 5 sizes from 4.5" - 12" and really do the job. We have used many of these and they look great for years and engrave really well. GOOD PRODUCT.......FACT!!! Classic Trophy for the Last Placed Golfer!!!! 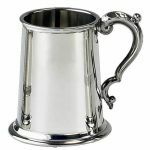 Being of a very old shape, given a modern polished design and finish, this is a very nice Tankard indeed and very good value!!! Price shown includes engraving of text and a new logo would add £10 to the price (although this is a one-off price and if used again or using an existing logo, it would be free!). Please call 01865-736028 for more details and logo formats required. 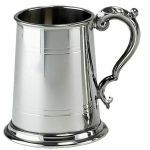 Being of a very old shape, given a modern design and finish, this is a very nice Tankard indeed and very good value!!! Price shown includes engraving of text and a lnew ogo would add £10 to the price (although this is a one-off price and if used again or using an existing logo, they would be free!). Please call 01865-736028 for more details and logo formats required. When you have the right stuff, it's easy.......just very dirty, smelly and takes a while!! But all possible, NEVER throw an old cup away, you just never know!! Very different indeed!! These are both very nice quality indeed, as they are manufactured from Brass and then Nickle-Plated. The cup itself could be engraved but there is only a small space but...hey......we can do it!! You also have a choice of bases but the round rosewood really goes well against the cup. Obviously, in this picture it is shown without a base. Please call 01865736028 for more details. Now this is a HEAVY piece of glass!!!! and no wonder, it's 30mm thick!!!! We have shown it here, fitted with a Silver plate fitted to the face as it really projects the image and text from the plate but for £25 extra, we can Sandblast a logo and text into it.